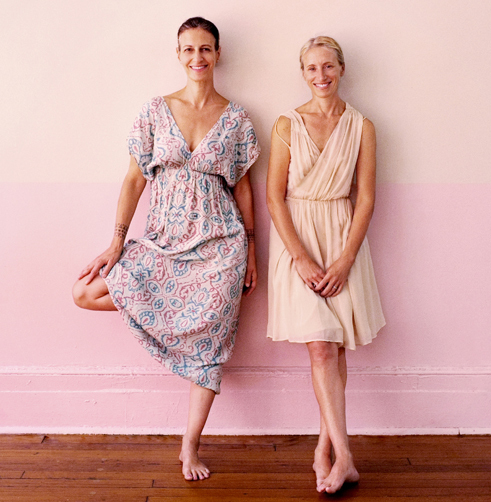 In 2002, Kristin Leigh and Barbara Verrochi opened the Shala in Union Square with the intention of creating a space where fellow practitioners could gather, breathe freely, build strength, and be at ease in their bodies. In June 2011, the Shala expanded to Fort Greene, where the Lafayette Avenue location has since become a cozy shelter for Brooklyn-based yogis. The Shala’s core offerings include daily Ashtanga and vinyasa classes, meditation, and pranayama. Asana classes are taught with consistency and authenticity, and always under the guidance of certified teachers. Additional offerings include philosophy talks, anatomy lessons, monthly kirtans, 200-hour and 500-hour teacher trainings, a unique mentorship program, and international retreats. Kristin and Barbara are truly grateful for the amazing community that has blossomed around this beautiful practice. They offer deep thanks to their team of skilled and loving Shala instructors, their loyal and dedicated students, and their own mentors and teachers—Sri K Pattabhi Jois, Sharath and Saraswati Jois, Eddie Stern, Sharon Salzberg, and Pema Chodron.